Always opening the same images for each project? Searching for every single texture map individually wastes valuable time! Some other addons that attempt to solve this issue, but they require setup time and only work with certain types of images. Always using the same nodes? Almost all materials have some nodes in common, and repeatedly adding the same nodes also wastes time. Appending materials or node groups is an option, but again requires digging through hundreds of files to find the relevant shader. 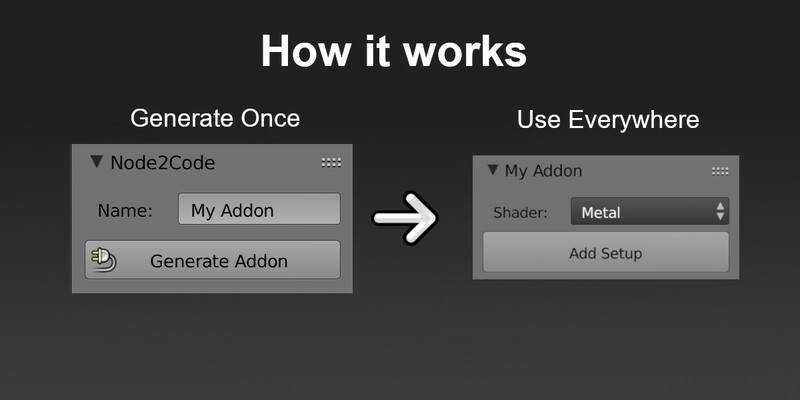 Wish you had your own addon to add your own shaders? 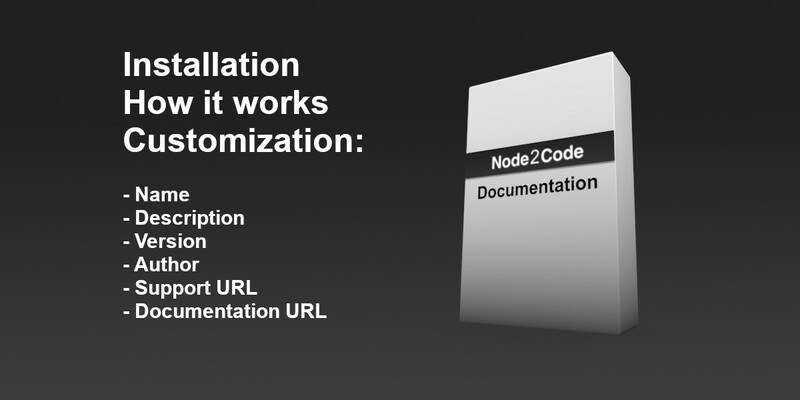 Node2Code lets you build customized addons from your own custom node shaders! No more opening the same images or nodes! Instant 1 click access, available immediately every time you open Blender, no additional setup required. Once an addon, always an addon! 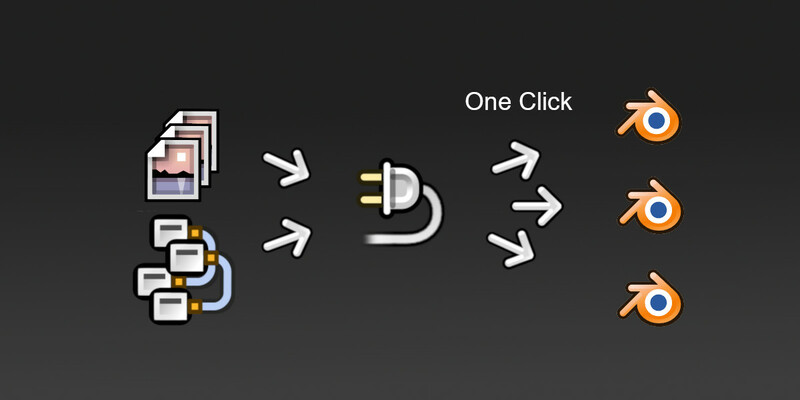 Add custom shaders with any number of images instantly with 1 click. 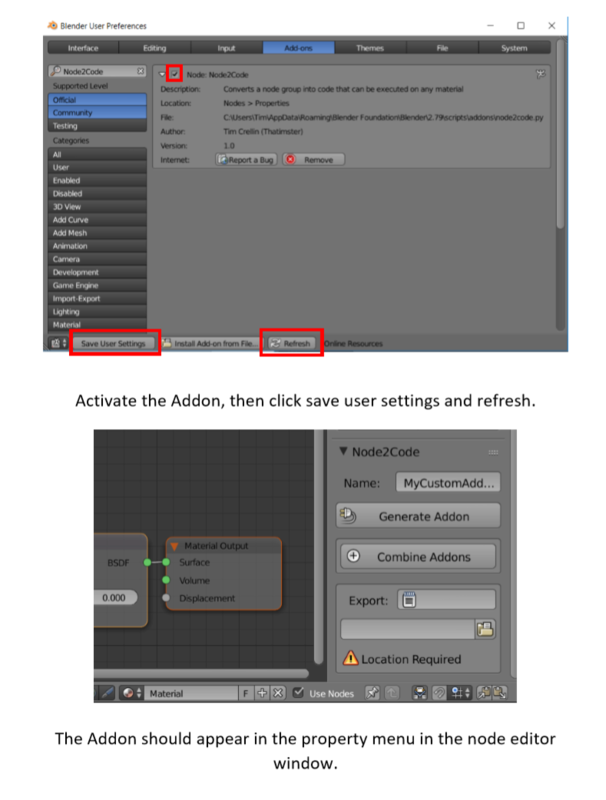 Convert your node setup once and have it immediately available whenever you open Blender! 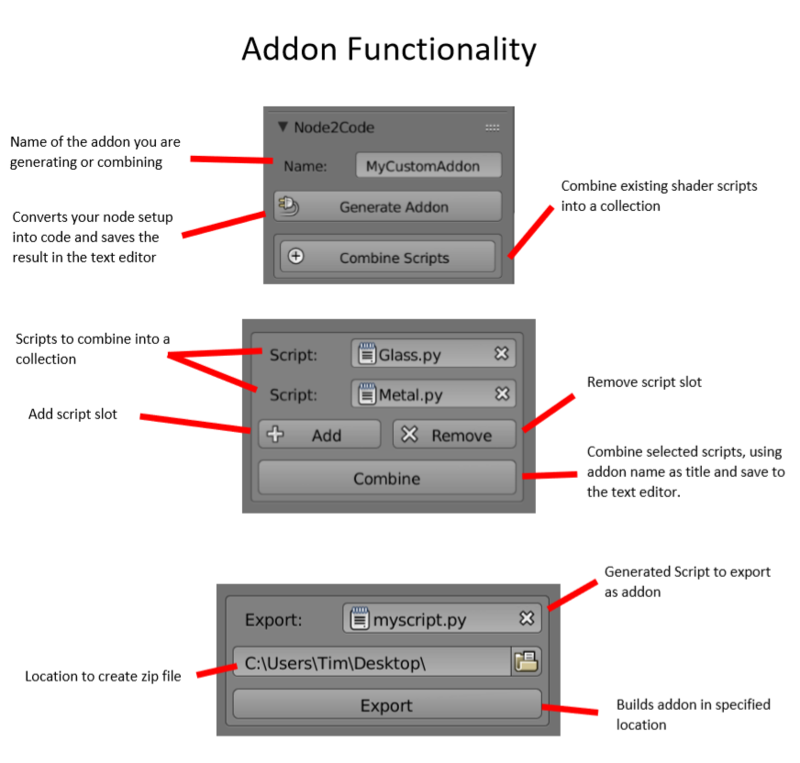 Have your own addon running in no time with a simple 4 step construction process. 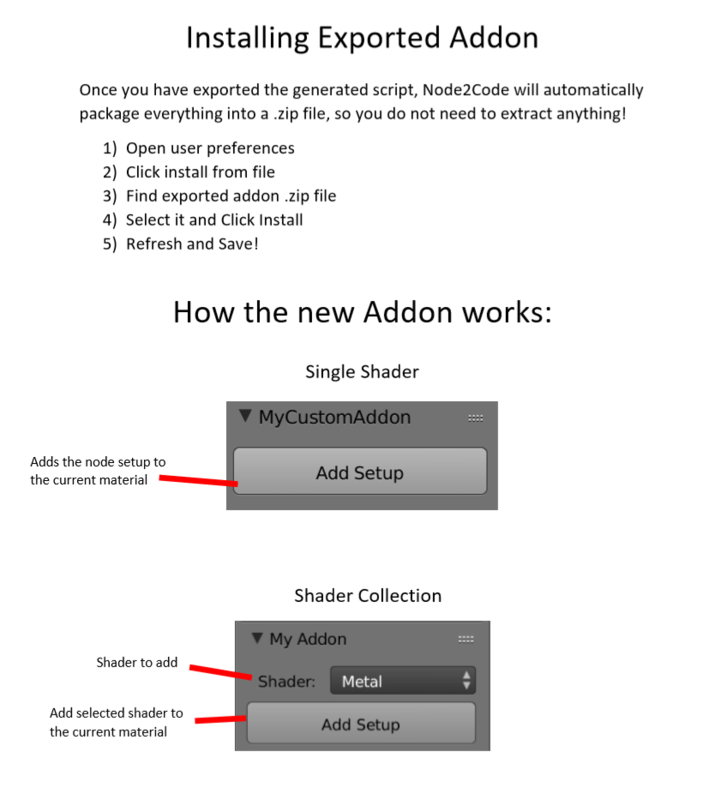 Construct any node setup into a single shader addon or combine them to build your own personal shader collection! Want to share your addon with other people? No problem! Node2Code will automatically zip up your addon into a ready to share format! 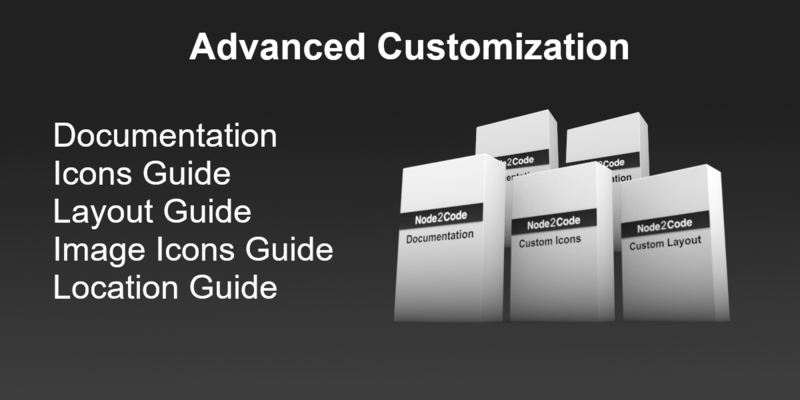 Discover further customizations, tips and tricks through the comprehensive documentation included with the addon! Take your addon to the next level with 4 additional customization guides, for maximum flexibility, uniqueness and aesthetics. Issues with euler properties for nodes such as the mapping node have now been fixed and encode correctly. 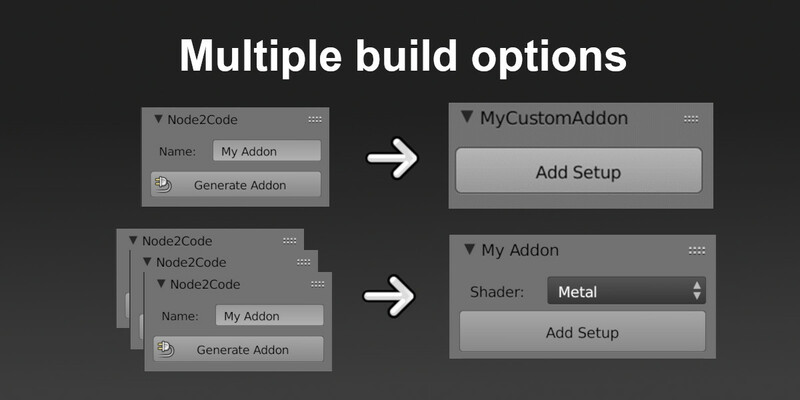 Node2Code now supports customized addon building within Blender 2.80, including cross engine compatibility between Eevee / Cycles. Additional improvements and bug fixes have also been added! Can I use this addon for all nodes? At the moment only material nodes are supported, but in future updates support for compositing, world, and texture nodes will become available. Does this support Blender 2.80? However Addons generated in Blender 2.80 cannot be used in Blender 2.79 and vice versa. For a year I struggled to get the hang of it making a simple addon and this addon Node3Code gave me exactly the insights how to start. In one day I made my own addon. The extended edition has some useful information for that. Also the developer fixed to issues in less than an hour and responded within a few hours on my e-mail. 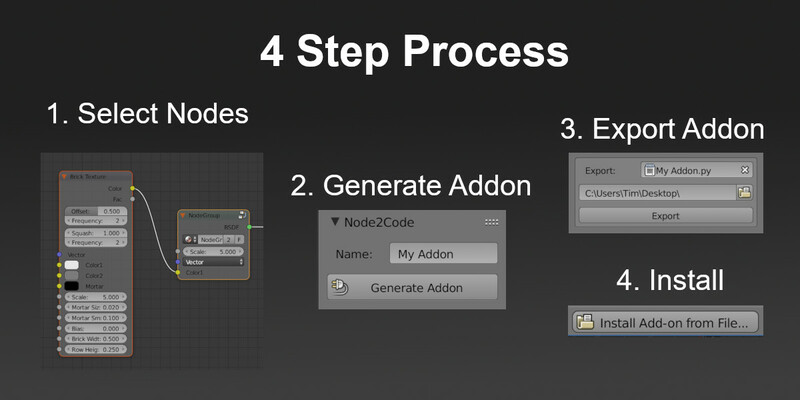 The addon itself is useful for adding nodes in the shader-editor (later also compositor, see roadmap) but for me it was so relieving that this gave me a quick start studying python in depth. Thanks!